Be sure to subscribe to LEGOJANG on YouTube. Where did you get Breez and Thornraxx? Thank you so much for the review! Watching the vid I can definitely see the color difference you talked about. I think they were going for a Samus Aran vibe with the huge shoulders. Is the set good? Like, does it look good? You may have answered in the review, but I can't remember clearly. She has got way too many red. 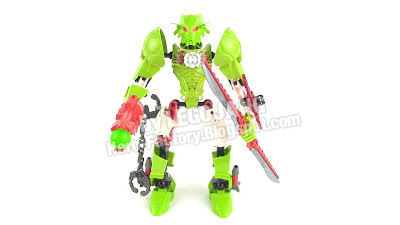 I am ALWAYS trying to make a model like this when I make mocs! Why is Breez the only hero with 2 hands and the others got 1?! All series 4 heroes have two hands. they just are hidden by their blaster.